fire – MedFlight "Touching Base"
Over a decade ago, Healthnet Aeromedical Services and MedFlight partnered to open the first co-owned and operated base in the nation. Referred to by locals as “Healthnet 4 / MedFlight 7”, the team is based at the Greater Portsmouth Regional Airport and serves citizens in Ohio, Kentucky, and West Virginia on a daily basis. The team is steeped in experience and led locally by paramedics who are passionate for elevating safety and maintaining quality in the industry. Serving a rural area scattered with EMS and volunteer fire departments, they recognized a need early on for continuing education in the area. The base itself is unique… So to host a unique conference was not out of the question. This year, the team hosted their 10th Tri-State Conference at Shawnee State University in Portsmouth, OH. What originally began as a smaller conference for healthcare providers has grown into a regional multi-track training for EMS, Nurses, and Firefighters. With the help of our friends at Portsmouth Fire Department, full-day tactical training was provided for the fire personnel in attendance. This year’s training included high angle rescue, rope rescue, rappelling techniques and more. At the same time, EMS and hospital personnel were involved in hands-on clinical labs. This full day included muscle memory training, advanced airway access labs, a live birth simulator, a pediatric assessment station, and riveting clinical lectures. The benefits of multi-disciplinary training are endless. Attendees represented local hospital staff, private EMS providers, volunteer firefighters, public township EMS officials, paid Fire/EMS departments, flight crew members, and nursing personnel… All of whom work together, responding to the same local emergencies, 24/7. Don’t wait for an emergency transport mission to work together with your local healthcare providers. Train hard and train often with them so future emergency response remains as seamless and safe as possible. The goal of the HealthNet Aeromedical Services and MedFlight Tri-State Conference remains the same every year: To thank local Fire, EMS, and Nursing personnel for their service, and to provide an opportunity for multiple local agencies to train together and practice the skillsets they use daily when responding to community needs. This article was also shared in a magazine called Safety Matters, a collaborative effort owned and produced by MedFlight and Healthnet Aeromedical Services. Kettering Health Network and MedFlight are expanding their critical air transportation partnership by adding a permanent medical helicopter base at the Preble County Medical Center in Eaton, Ohio. Kettering Health Network plans to construct the base, which will include a hangar and crew living quarters. The permanent base will be staffed by critical care nurses and paramedics, pilots, and mechanics 24 hours a day, 7 days a week. During construction, a helicopter will be based at the Preble County Medical Center during the day starting within the next 90 days. Kettering Health Network’s partnership with MedFlight began in 2013, when MedFlight placed a medical helicopter base nearby in Fayette County, serving Kettering Health Network and other partnering health systems and communities to the east of the greater Dayton area, including Fayette and Clinton counties. In the greater Dayton region, MedFlight will provide critical care transportation of patients between Kettering Health Network hospitals and other hospitals as necessary. The helicopter will also respond to accident scenes and transports patients to the most appropriate hospital for critical care. Furthermore, MedFlight’s new base will add an additional resource to the existing fleet to support other affiliated hospital partners throughout Ohio. Kettering Health Network is a not-for-profit network of eight hospitals, 10 emergency departments, and 120 outpatient facilities serving southwest Ohio. The network’s hospitals are Kettering, Grandview, Sycamore, Southview, Greene Memorial, Soin, Fort Hamilton, and Kettering Behavioral Medicine. Kettering College, a division of Kettering Medical Center, is a fully accredited college that specializes in health science education. Kettering Health Network is recognized as one of the 2016 Truven Health Analytics 15 Top Health Systems in the United States. MedFlight is a non-profit air and ground critical care transportation company based in Columbus, Ohio that completes thousands of critical care transports by Helicopter and Mobile Intensive Care ground units each year. MedFlight is made possible by its consortium health systems of OhioHealth and The Ohio State University Wexner Medical Center. MedFlight also has a partnership with Nationwide Children’s Hospital in Columbus. MedFlight received the air medical industry’s highest safety award in 2012 and was named “Program of the Year” in 2014. 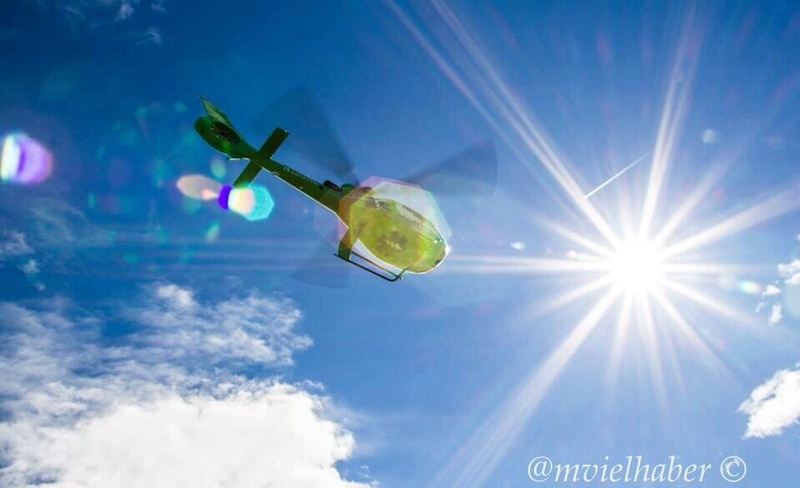 MedFlight: 20 Years and Counting! This past April marked MedFlight’s 20th anniversary of serving Ohio! Entering this milestone gives us a time to reflect on all that has been accomplished since our two founding helicopter organizations, OSU SkyMed and GrantLifeFlight, merged in 1995. Since that merger, we have seen expansion, contraction and changes in response to the needs of the communities we serve…. We’ve seen the addition of Mobile Intensive Care Units (MICUs) to complement our helicopter fleet. We were invited into new markets outside of Central Ohio, including Akron and Cleveland, and we grew into eastern, southern, western, and northern Ohio. We added helicopters to serve our requestors better, with a total of 10 now based across Ohio. 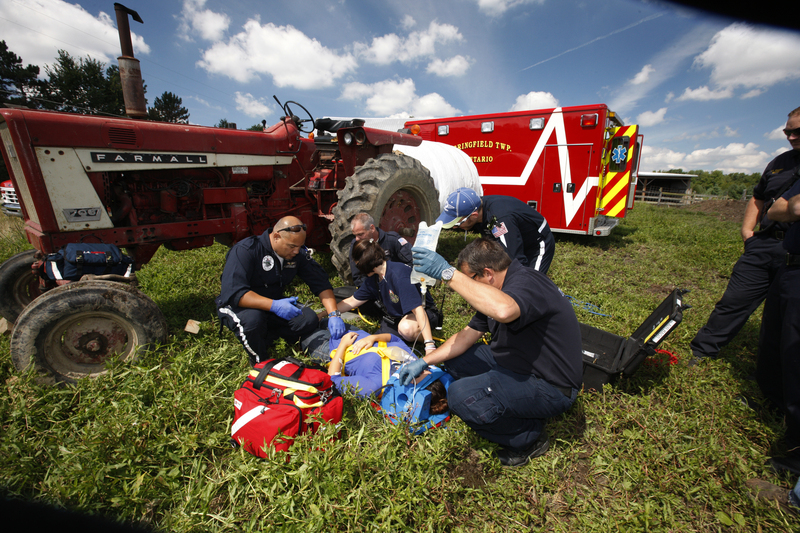 We entered into the 911 service arena, assisting Coshocton County EMS for nearly 10 years. We now fill service voids with MedCare, our own ALS/BLS ambulance service partnership. We developed our MedComm Communications Center to meet the need for highly professionalized dispatching needs across Ohio. MedComm has grown to also serve air medical transport programs in Indiana and West Virginia. Our education programs have grown to provide advanced training to thousands of paramedics, nurses and EMS workers across Ohio. We’ve seen the addition and then subsequent subtraction of a regional/national fixed-wing program, so we could better focus our assets in Ohio. We adopted the single-engine EC 130 helicopter fleet-wide, and entered into a new helicopter service partnership with Metro Aviation, Inc. This standardization increases safety, conserves precious healthcare dollars and positions us responsibly for the future. Successfully executing our mission requires that we continuously earn and keep the trust of local firefighters, EMTs, law enforcement, hospital staff and the patients they serve. This trust has been validated by our daily work and our award-winning operations. In 2014 MedFlight was recognized as Program of the Year by the Association of Air Medical Services (AAMS). In 2012 we received the Vision Zero Safety Award , the highest industry award for air and ground critical care safety. Both awards are a testament to the dedication of the crewmembers, communicators, administrators and partner vendors that make up MedFlight. To say the last 20 years have been an “up and down ride” would be an understatement. However, MedFlight has always responded to the ever-changing healthcare transport environment with an eye on excellence and professionalism, and we will continue to seek out new service opportunities that support our Patients Firstmission. Long-time MedFlight Chief Operating Officer Tom Allenstein was appointed President and Chief Executive Officer upon the retirement of former President and CEO Rod Crane in December 2014. On April 20th, 2015, MedFlight will celebrate our 20th year of service to Ohio! We would like our former patients and their families to be part of the “thank you” to our dedicated medical crews by sharing your testimony and story with them. Your story will be shared at our ceremony on April 18th to the flight teams and Mobile ICU teams that works tirelessly to make someone’s bad day just a little bit better. If you would like to share your story with us, you can either post it in the comments on this blog, or email it to Sara Craig at scraig@medflight.com. We appreciate your help and your willingness to share.